When it comes to assembling outdoor furniture, different shades of colour are key to creating a beautiful and welcoming outdoor environment. 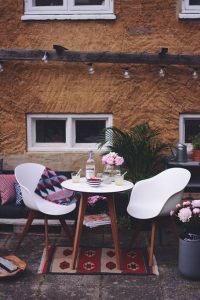 Our team at Brands International shares a few ideas below on how to co-ordinate a colour scheme to suit your outdoor space for summer. One of the most popular summer colours is blue, which gives your guests a feeling of confidence and comfort. Adding pops of blue or any other colour onto a white base creates light and dark symmetry for a striking appearance. Greens combined with neutral tones can enhance a peaceful and calming atmosphere, especially if you want to create a space in which you and your guests will be able to relax and unwind. 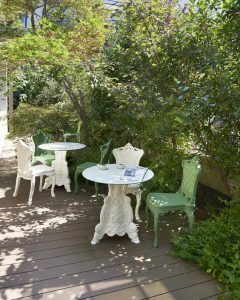 Shades of green signify growth and health; furthermore, they help to showcase a laid-back style. For something more whimsical in nature, yellow expresses clarity, optimism and warmth. Alternatively, you can accent neutral furniture with patterned throws and small rugs, and some pretty fairy lights! Various shades can be used to add accent colours with outdoor accessories such as lanterns, rugs, pillows and even chairs or tables. If you’re going for an energetic and lively feel, consider a design which brings together strong, warm colours. 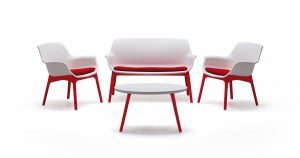 Red furniture can reflect excitement and boldness, along with symbolising your youthful side. Underlying neutral colours can help to offset stronger reds, preventing it from appearing too aggressive or overpowering. Incandescent light bulbs and candles emit a soft, yellow glow which highlights whites and warmer colours, making them more vivid. Fluorescent lights, on the other hand, give off a cooler, blue light. Like natural daylight in spaces facing the south, they enhance both warm and cool tones. Natural light changes as the sun rises and moves across the sky, affecting the colour temperature as a result. 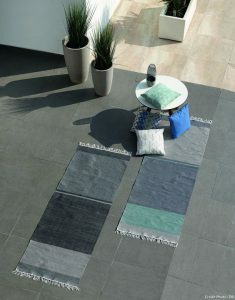 Red or orange palettes are ideal for areas facing the south, whilst those facing east benefit from blues and greens. 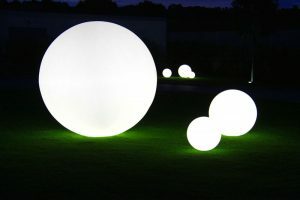 However, spaces facing the north should especially be fitted with artificial lighting like halogen lamps, which will prevent them from looking cold and gloomy. Reflective surfaces such as metal or glass make colours look brighter and stronger, whereas natural woods such as light oak paired with white accents create a feeling of calm minimalism. Softer fabrics in seating cushions or pillows absorb light, which makes colours look warmer and more intense. Here at Brands International we have been supplying quality furniture in Malta for many years. 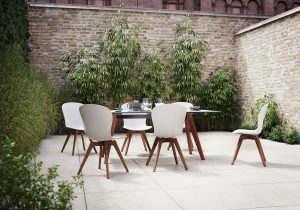 We take pride in supporting brands which provide functionality, innovative design and comfort for outdoor spaces, such as 10DEKA, BoConcept and BICA. 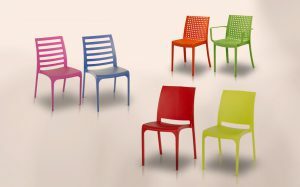 We’ll help you choose outdoor furniture of bright hues or softer tones to complement other features of your home, as well as represent your lifestyle and unique personality. 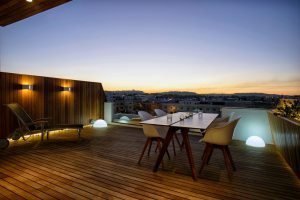 For the best in outdoor furniture Malta has to offer, contact us at Brands International for more information about our services and products.